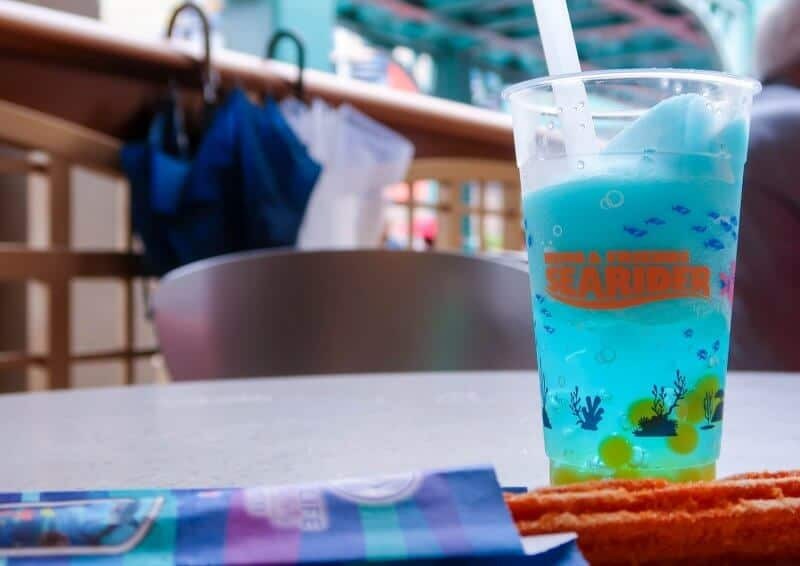 To celebrate the opening of Nemo & Friends SeaRider at Tokyo DisneySea, there are new snacks and a popcorn bucket available! I swam over to Port Discovery (one of the ports at Tokyo DisneySea) and gave them all a try. Here are my thoughts. Read on to see if they are worth the taste buds. 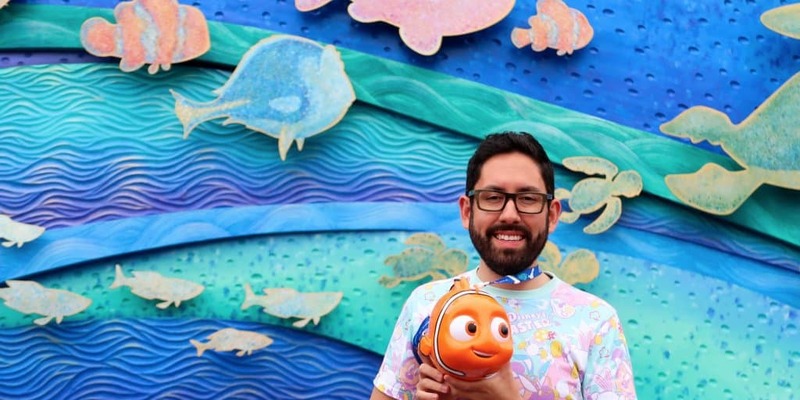 Once you’re done, check out all the Nemo & Friends SeaRider merchandise — which also includes a full video of the items. Just a fair warning, the cuteness overload is overwhelming! Now, allow me to preface this with the fact that I am not a huge fan of churros in general, which made me a bit reluctant to give this a go. But I want our Explorers to garner as much information as possible before their trip. So I took one for the team. The first thing you notice is the stripes that represent Nemo, which is super cute. The packaging has a Nemo & Friends SeaRider design. It’s orange-flavoured and how I imagine Nemo would taste (I am only half-joking). 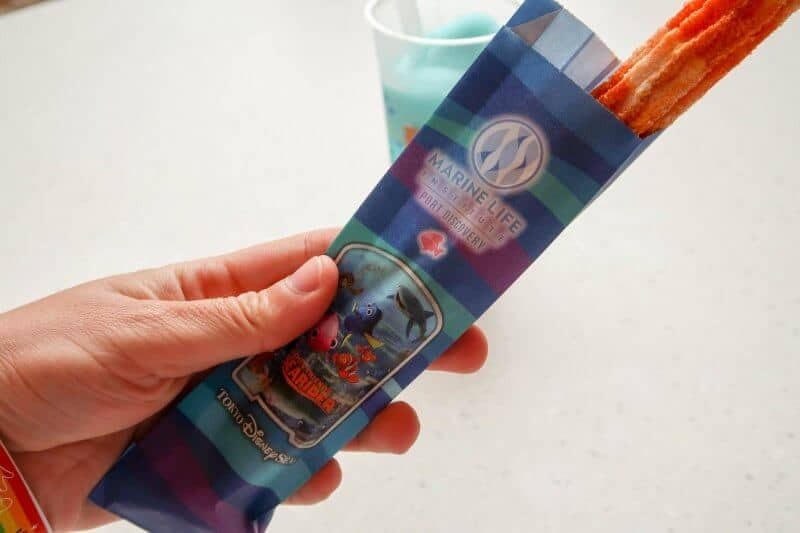 In all seriousness, the flavour is subtle (which is a common theme with most snacks at Tokyo Disney Resort) and you taste more sugar than orange. It was enjoyable, but something I won’t have again. Remember, I am not a fan of churros, so take that how you like. But give it a try just for the novelty factor alone. It’s hard to go wrong with a smoothie. 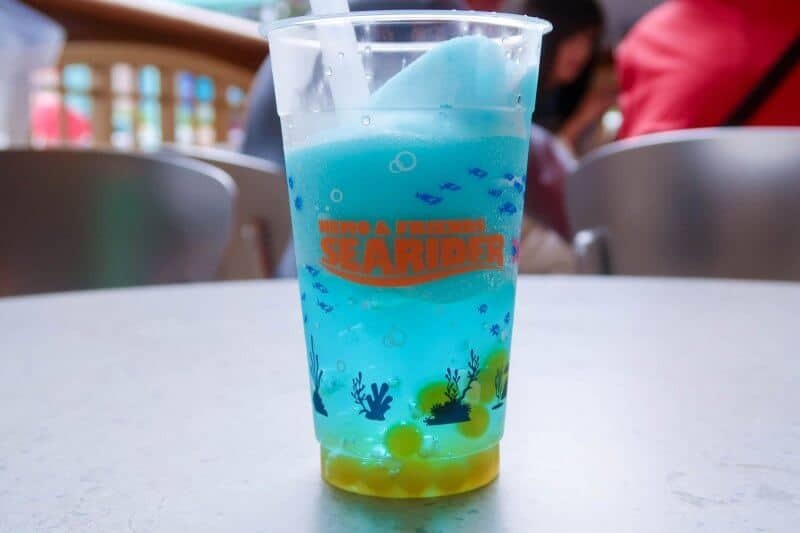 Not only does it look great, it’s quite refreshing and has some surprises at the bottom — jelly and little beads that explode in your mouth. The yellow beads look like fish eggs, which is a little strange. The pineapple is subtle and becomes overpowered by the amount of sugar. My only complaint is I wish the pineapple flavour wasn’t as subtle, and that it had less sugar in it. Regardless, I would have this again over the churro. 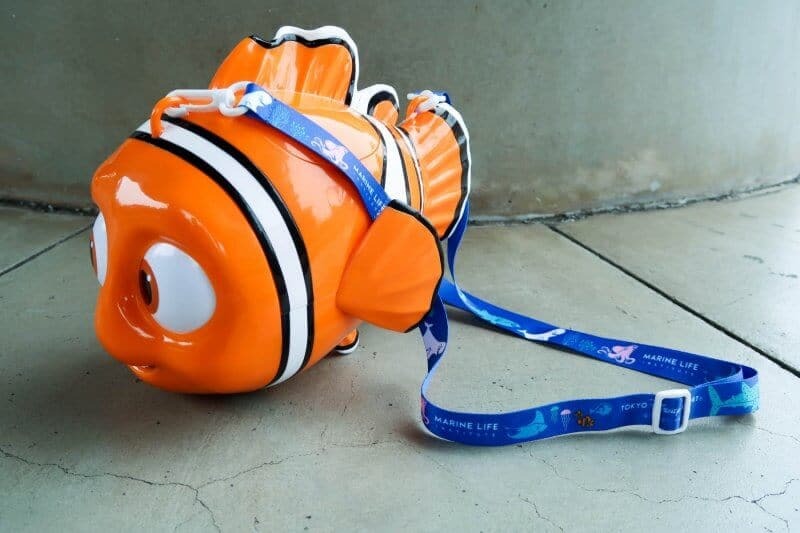 When I posted a short video of the Nemo Popcorn bucket, all you Explorers went absolutely nuts, and I love it! I am happy to report that the bucket is one of the better buckets they have come out with in recent years. Not only is it cute, but his eyes move left and right, and we can’t forget Nemo’s lucky fin (a full video is below)! It also comes with an adjustable strap. If you’ve been holding out on a popcorn bucket, then this is the one to get. As with most items at Tokyo Disney Resort, I don’t know how long this is available for, so if you are at the parks don’t hesitate or think, just buy it. The best way to check what popcorn buckets are available is to visit the official website on their popcorn page, as they update it regularly. It is only in Japanese, but the pictures are easy enough to understand. Here’s a bonus tip for you Explorers: when you buy any popcorn bucket, you don’t have to get the flavour of popcorn where you buy it from. You can ask for voucher and use it to fill it up with your favourite flavour! I read online that you can get some of the popcorn buckets from merchant of venice in tokyo disneysea. Is this true?